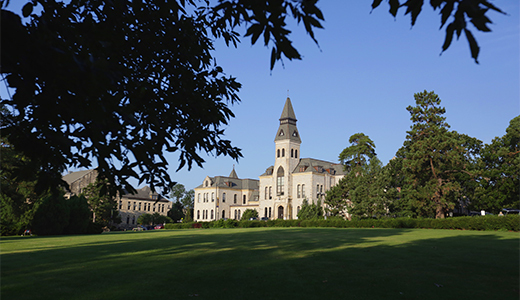 Philanthropic gifts and commitments by alumni, friends, parents, faculty, students and corporate partners of Kansas State University totaled $141.5 million in the fiscal year that ended June 30. This level of philanthropic support marks the third most successful year in charitable giving in the more than 70-year history of the Kansas State University Foundation, and the fourth consecutive year fundraising has topped $100 million. Of the $141.5 million total, 34 percent is available for the university’s use immediately, while donors gave 66 percent through endowed gifts, pledges and deferred gifts, which will be utilized by the university at some point in the future. One of the most notable aspects of this year’s results was the $53 million in endowed gifts and commitments. Endowed gifts provide long-term funding for the purpose they support, including student scholarships and faculty chairs and professorships, and create a legacy for the donor. The growth of the Kansas State University endowment pool, managed by the KSU Foundation, also had a successful year, with the market value nearly hitting the $500 million mark. • 57,813 individuals made more than 80,550 gifts. • Forty-nine percent of gifts came from Kansas State University alumni. • Twenty-eight K-State families made gifts and commitments of $1 million or more. • Gift commitments through estate planning, including wills, trusts and annuities reached an all-time high of $46 million. • Gifts received through corporate matching gift programs reached an all-time high, with $965,192 given by 176 companies that matched one or more gifts from individuals. In light of recent budget uncertainties in the state of Kansas, Schulz said that private support is increasingly important to Kansas State University.